Everyone had a scent of their own. From a young age, Ju Ho Yu was able to detect the unique smell that came off of different people. Some smelled like trees with delicious fruit hanging off of them, which could immediately make anyone happy. Those people were usually very kind and made everyone around them positive. But there were some people who simply smelled disgusting. The smellier these people were, the eviler they were. These evil people usually enjoyed hurting or even killing others. At first, Ju Ho Yu didn’t know what this power was. But as time passed, he began to realize that this power was something that was unique to him. And he only realized how to distinguish personalities by smell when he became more mature. Ju Ho Yu realized something the instant a boy with glasses walked in. This person, no, this kid was the one who created the formation that surrounded the entire Sichuan branch. Ju Ho Yu was completely sure that he was right. After all, the smell of the formation was identical to the one emanating off from this boy’s. But this smell, to Ju Ho Yu, was something entirely new. Because of that, the way he looked at Cho Ryu Hyang was extremely calm. When looking at new things, one must never get excited. There was a need to be calm, and inspect everything in detail. Only when he looked at something with a scholar’s mindset, would he be able to see something new. Cho Ryu Hyang flinched as well when he entered the room. There were two people in the room other than him; a seemingly average man and a man who looked more womanly than a woman. Cho Ryu Hyang’s eyes eventually fell upon the average-looking man. The eyes of Cho Ryu Hyang and Ju Ho Yu met. Cho Ryu Hyang’s eyes widened greatly. This was the same for Ju Ho Yu as well. Ju Ho Yu wanted to run out at that instant, but he tightly balled up his fists and prevented himself from doing so. He realized something when his eyes met with the kid’s. This kid was a monster. How could a smell of several people come out of a single child? Ju Ho Yu lifted his trembling hand and touched his nose. The kind of smell he smelled wasn’t something that he perceived with his nose. He was smelling something that was more like the smell of the soul itself. Because of this, Ju Ho Yu could only look at Cho Ryu Hyang with great confusion. Cho Ryu Hyang, too, was surprised when he saw the man. He touched his glasses unconsciously, and made a serious face. Disregarding Gongson Chun Gi, his teacher, this was the highest number Cho Ryu Hyang had ever seen. If this man studied martial arts, he would be a terrifying expert, and if he worked with scholarly matters, it would not be wrong to call him a sage. There was a need to see what the man did. It didn’t look like the man studied martial arts. That, however, made Cho Ryu Hyang feel even more uncomfortable. As Cho Ryu Hyang thought this. Tai Gonggong decided to break the uncomfortable silence between them. When Tai Gonggong said this as he licked his lips, No Jin Nyung flinched a little from behind Cho Ryu Hyang. But even before No Jin Nyung moved, Cho Ryu Hyang raised his hand and stopped him. He then began to talk calmly. He had completely forgotten about manners because of Ju Ho Yu. After sitting down in front of Tai Gonggong, he slowly touched the bracelet on his arms. He had never expected this to happen. The Imperial Palace most definitely came here because the Four Powers were moving. There was no reason for them to come otherwise. Cho Ryu Hyang took a look at Ju Ho Yu for a moment and opened his mouth. Tai Gonggong said this and looked at Ju Ho Yu. He didn’t understand why the man was being all dazed like this. Wasn’t this guy supposed to be the person in charge here? He glared at Ju Ho Yu for a moment, but the man still didn’t move. In the end, Tai Gonggong sent him a very loud wake up call. Ju Ho Yu came back to his senses when Tai Gonggong’s message loudly played in his brain. He blinked several times, realized what was going on, and immediately opened his mouth. Cho Ryu Hyang told the man his name on instinct when the man said it. He then tilted his head a bit. He felt that he heard the name before. And it wasn’t just the name that made Cho Ryu Hyang tilt his head. 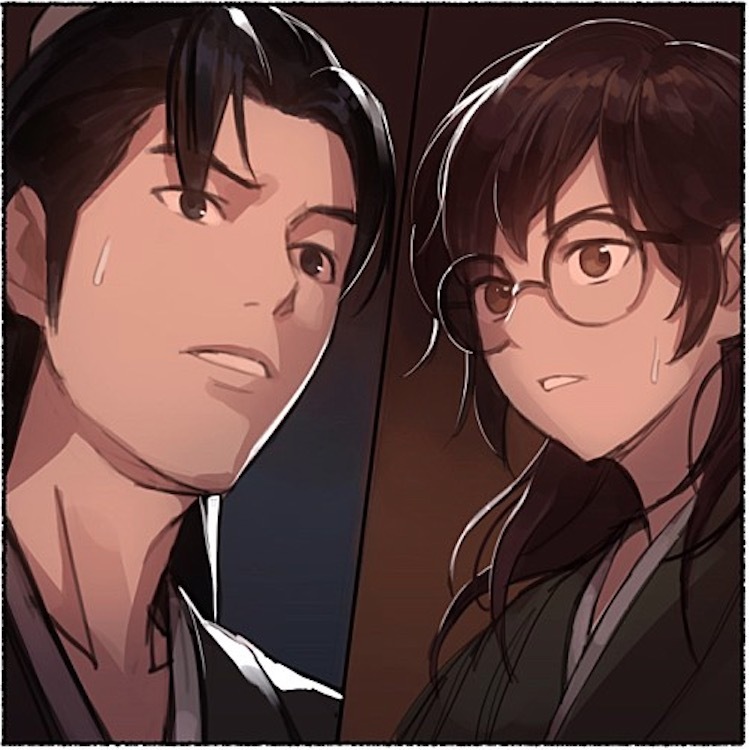 Cho Ryu Hyang realized something the moment he heard the man’s job. He found out what kind of a man this person was. This man was a professional mathematician, who dealt with things related to calculations in the Palace. He was also the person who created the formation that trapped Un Hui. These two facts merged into a single thing in his head. Cho Ryu Hyang’s eyes became much more serious. He had wanted to meet this man. He didn’t know he’d meet the man like this, but perhaps this meeting was fate. He would use this chance to see just how strong this man was. Seeing it didn’t actually take too long. When Ju Ho yu asked this, Cho Ryu Hyang blinked a few times. As expected, the man noticed the formation. But this was something that even harmonious experts couldn’t detect? It seemed that the man also knew that Cho Ryu Hyang was the one who create the formation as well. He was good enough to notice a formation that wasn’t even active, and somehow, he was able to see who made it. This made Cho Ryu Hyang see that the man reached a considerable height in formations. But there was one thing that he had to confirm before he could make this conclusion. When Cho Ryu Hyang pretended to not know anything, Ju Ho Yu frowned. When Tai Gonggong said this with wide eyes, Ju Ho Yu frowned even more. Ju Ho Yu said this as he looked at Cho Ryu Hyang. His eyes seemed to be saying ‘are you still going to feign innocence?’ Cho Ryu Hyang could only smile in front of that gaze. If the opponent knew this much already, everything would actually become quite easy. It seemed that the other side did not know the purpose of his question just now. There was a need to be more specific. Cho Ryu Hyang calmly stared at Ju Ho Yu. This gaze made Ju Ho Yu’s eyes shake slightly. He had seen a glimpse of someone he respected in the boy’s eyes. You gain something, and you lose something. The world was unexpectedly fair this way. Ju Ho Yu thought of the word and frowned. But it wasn’t like he was going to take this lying down. He would never let himself get dragged around by his opponent. Especially when that opponent was a child. He definitely wouldn’t be giving any hints. That was what Ju Ho Yu’s face was saying, but this only made Cho Ryu Hyang’s smile get even wider. He knew that his opponent didn’t know much about him. The man probably thought that he was a normal formations expert. Ju Ho Yu probably didn’t know that he used mathematics as well. In that case, there was still something that he had to take from Ju Ho Yu. When Cho Ryu Hyang said this, Lim Hak Gyum immediately issued a single command. And a while later, someone appeared out of the shadows, gave Cho Ryu Hyang a brush, ink, and paper, then left. Tai Gonggong made an amused face when he saw this. Cho Ryu Hyang lightly replied and looked at the paper in front of him. He pushed away the snacks on the table and grabbed onto the brush. After he dipped the brush in ink, he put the brush over the paper. However, just before he wrote what he had in his mind, a single ‘information’ made him stop. The thing that bothered him from a while back. The reason why Ju Ho Yu sounded so familiar. That was what was in his mind for so long. Jo Gi Chun had told him something once. The area that even he had never managed to reach in life. And the single mathematician who managed to reach that are. Cho Ryu Hyang stopped everything, and looked at Ju Ho Yu. There was a mixture of emotions inside his eyes. He felt that there was something that tied them together. If this person really was as great as his teacher had said, there was one thing he had to confirm. Cho Ryu Hyang began to move his brush again, but this time, there was a different light in his eyes.